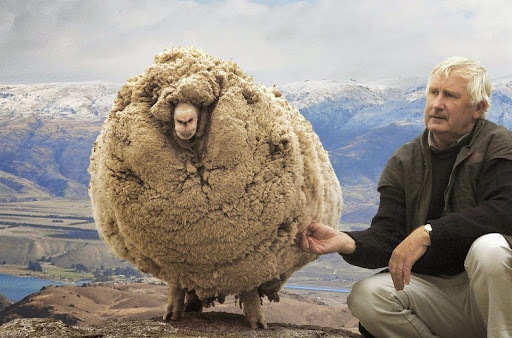 Shrek was a Merino sheep, a castrated male, belonging to South Island, New Zealand, who gained international fame in 2004 owing to his gigantic coat of fleece. 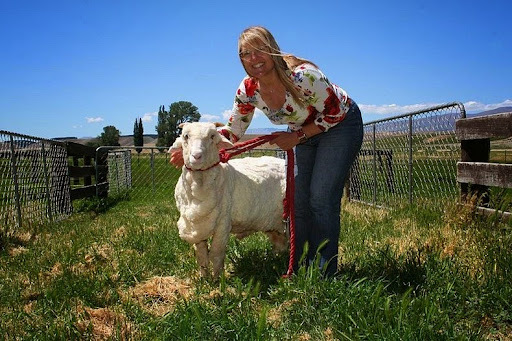 Shrek became famous after escaping his enclosure and evading the shearers for six years by hiding in caves. 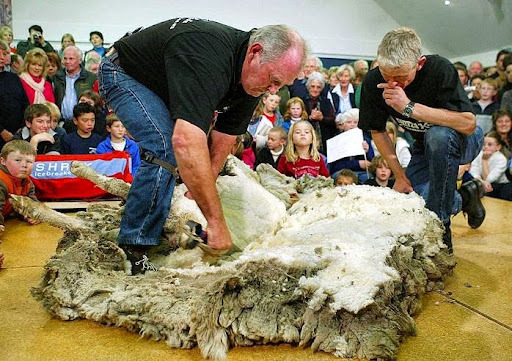 Merino sheep are usually shorn annually but Shrek managed to escape the blade for six years straight. 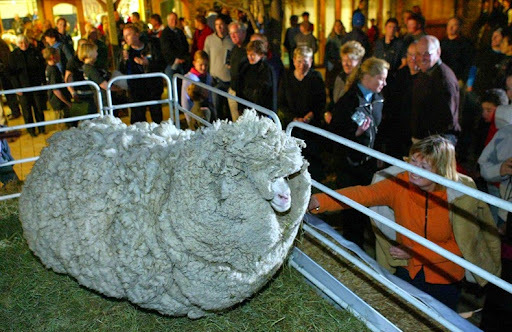 When he was finally caught, the sheep was unrecognizable. 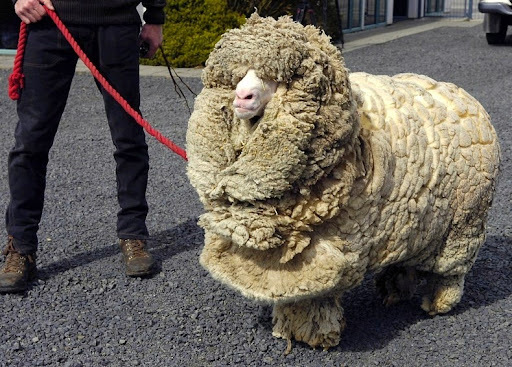 “He looked like some biblical creature,” said John Perriam, Shrek’s owner. 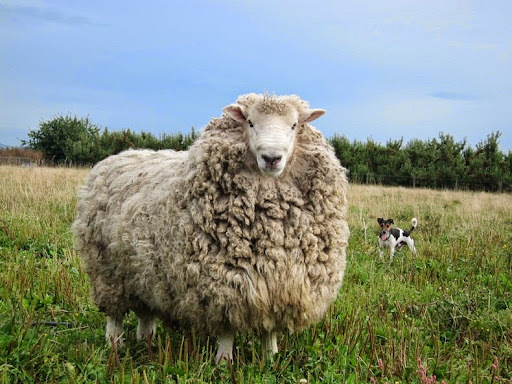 Primitive sheep shed most of their wool every year, but domestic breed like the Merino – the ones raised primarily for their meat, continues to grow wool year round until sheared. 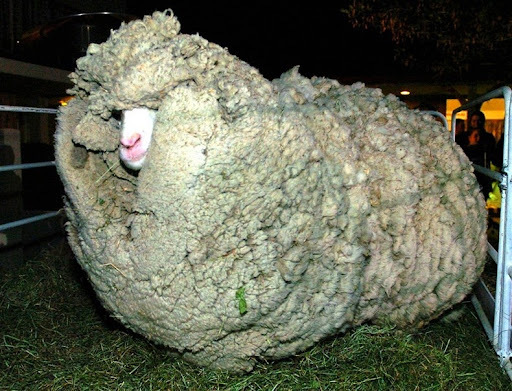 During his cave-living days, Shrek grew a fleece weighing 27 kg, roughly six times the average fleece produced by a Merino sheep. 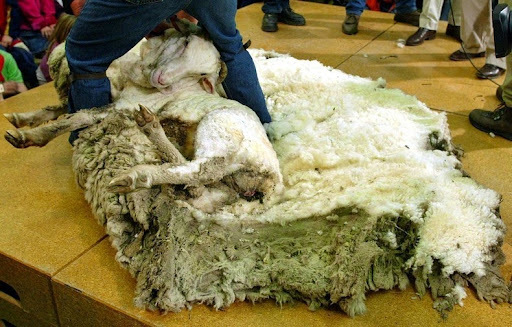 His fleece contained enough wool to make suits for 20 large men. Shrek shot to fame immediately. 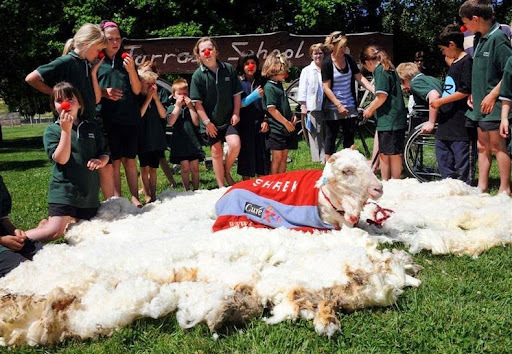 He was sheared live on New Zealand’s national television, and his fleece was auctioned off to raise money for children’s medical charities. Shrek met the then Prime Minister of New Zealand, Helen Clark, and became the subject of children’s books and made charity appearances. 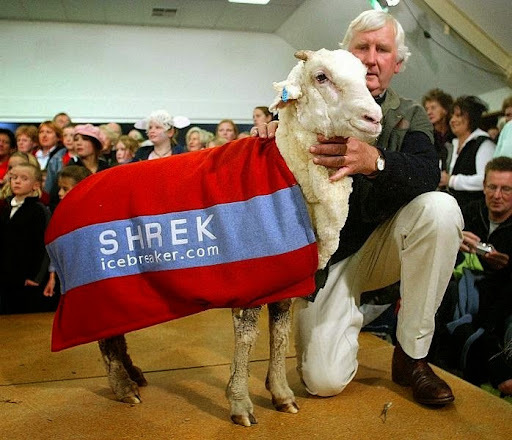 Two and a half years after the first live television event, Shrek underwent another live shearing, this time on an iceberg floating off the coast of Dunedin, New Zealand. Shrek died in 2011 at the age of sixteen.